British Prime Minister Theresa May is under growing pressure from within her Conservative Party to lead Britain out of the European Union in the next few months, even if it means a no-deal Brexi. 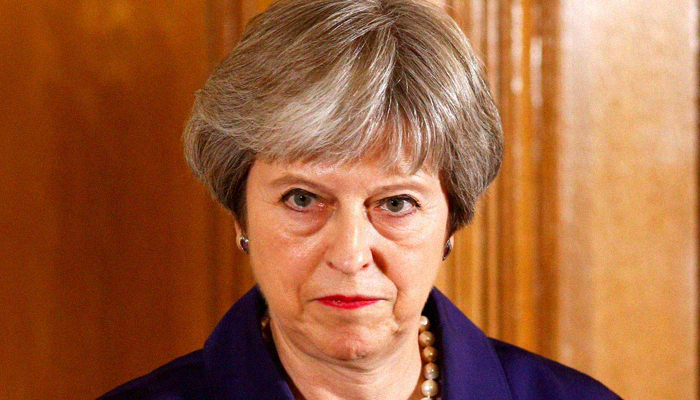 A letter signed by 170 of the 314 Conservative lawmakers in parliament, including 10 cabinet ministers, was sent to May after her Brexit deal was rejected for a third time by the House of Commons on Friday, the meria reportso. The vote left Britain’s withdrawal from the EU in turmoil on the day that the country was originally due to leave the bloc. “We want to leave the EU on April 12 or very soon afterwards,” The Sun quoted a Brexit-supporting minister as saying in reference to the letter. Previous Attack on Dostum’s convoy .